Life in Missouri is a relatively healthy place to be in the world, but isn’t the healthiest place in the United States. Statistics has the state ranking in the top 15 states in certain health related categories and in the last 10 states in other categories. Programs such as the Affordable care act and risk pools are positive elements of healthy living and health care coverage in the state of Missouri. Overall, Missouri is listed as the 40th healthiest state to live in the United States according to statistical data from the United Health Foundation. On a global level, the United States is one of the healthiest countries in the world, but internally Missouri could be arguably one of the more unhealthy states to live within the US. Top or favorable statistics for the state include being ranked 10th in early prenatal care, 11th in high school graduation, and 46th with infectious disease. Negative statistical rankings include being 44th in public health funding and 49th in poor mental health days. 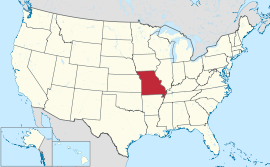 Missouri has a total of 5,823,298 residents and 12.61% are uninsured. Missouri has enjoyed federal health reform from the Affordable Care Act (ACA) that makes over 16 billion dollars available over the course of 10 years for health care. This will provide Missouri with funds for preventive care and efforts such as obesity prevention and anti-smoking measures. Health Insurance Missouri residents can also receive health care coverage through a federal high risk pool program. These programs are state sponsored and help people with pre-existing conditions obtain affordable health insurance Missouri. This assists residents with keeping coverage during gaps, switching jobs, pursuing self-employment and more. Missouri keeps up to date information, statistics and reviews on hospital quality and service throughout the state. This helps the overall hospital market strive for better performance standards and helps the overall healthiness of the state. Top health insurance Missouri providers are Blue Cross and Blue Shield, Celtic, Coventry, and Humana.